A message of eradicating the distance between oneself and others resounds across the ages, from the Buddha’s warning, “There is … No sorrow like separation,” to John Lennon assuring us that if we all join together, “the world will be as one.” This perspective is practically a given among those who consciously seek our collective evolution. After all, the prototypical Fall from Grace was an act of separation from the Divine, as well as an innocent blindness to the difference between Good and Evil. And the antedote for our loss of grace? Unity. Connection. Oneness – the ultimate goal of an evolved species. And anyone who claims differently is likely still trapped in a toxic, dying paradigm that threatens to destroy us all. In this work, I explore an alternative view: namely, that rather than being our enemy, Separation – or Distance – from a perceived Other is at once endemic to our human nature and an invaluable bridge to the connection we hungrily seek. And only by accepting the fact of our separation can we truly learn to creatively navigate the spaces that divide us. 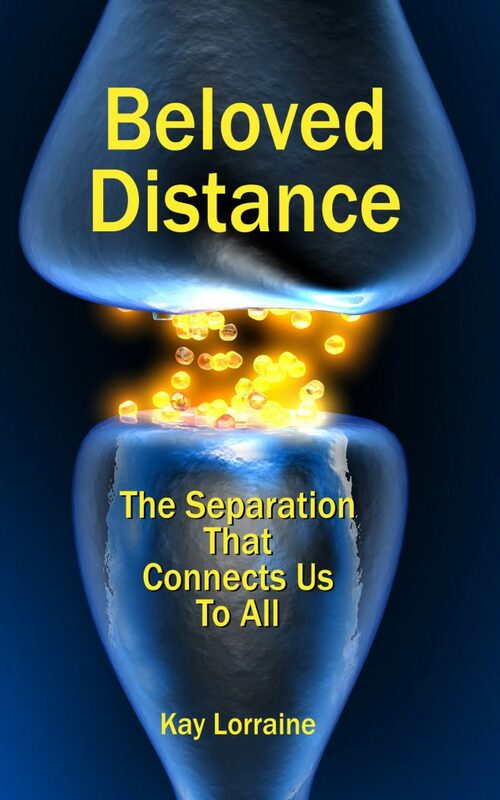 Separation and Distance is, in fact, a fundamental component of our participation in this thought-form theater we term “reality”, beginning at the most basic of our sensory functions and extending throughout our entire human infrastructure. Experience of Distance from Others is not due to inferior design or devolved consciousness. Quite the contrary — it’s part and parcel of who we are, how we’re built. In this work, I propose that our acceptance of and successful integration of Separation, combined with our ongoing impulse to close the Distance between Ourselves and the Other, is the very thing which provides the essential influx, aggregation, and processing of “data points” which inform and evolve our human experience, raising it from mere existence to engaged, expanding evolution. we can learn from our physical systems’ in-born capabilities to address the issues of “Otherness”, separation, and alienation in our outer world and actively, intentionally find commonality that makes us more than the simple sum of our connections. We need not vilify and excise all Separation and Distance and sense of Other from our roster of acceptable life experiences. Indeed, we can holistically embrace the contradictions of Separation and the tensions of Distance in our experienced reality, in much the same way that our physical systems do. Rather than banishing the experience of Distance as “unreality”, I propose that we embrace it more fully as a building block of an expanded Reality and recognize the opportunities inherent in its gaps to take ourselves beyond the limits of our imagined constraints. For indeed, ultimately richness and meaning is added exponentially to our lives precisely because of the essential separateness of our natures. Reblogged this on Kay Lorraine.